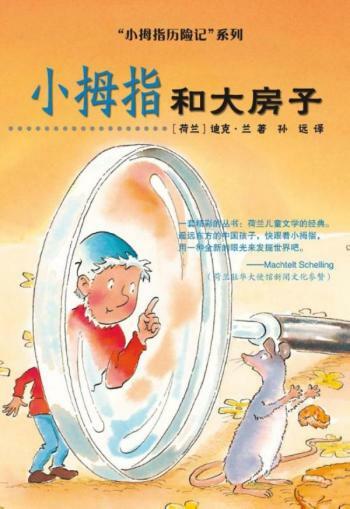 This is the Chinese edition of the famous Dutch gnome Pinky. Pinky, a little man not bigger than your pinky, is recognizable by his white beard and his blue pointed cap. He lives with five mice brothers in the big house of the father, mother and three children. Together with Whiskers, the cat and Wobblytail, the dog, they have all kinds of adventures. Pinky climbs into a toy-carousel, but it turns so fast that Pinky becomes sick. He crawls in to a radio to have a look at the inside, butcant get out. When the mother starts cleaning, Pinky hardly escapes of a buzzing vacuum cleaner. Quicktail, the naughty crow, lets him boom! fall in the cream-cake. Pinky hides in a toy-dog and gets into a fight with Wobblytail. Then he gets into an old birdsnest and makes a trip in a rolled up carpet. But Pinky experiences much much more. Read for yourself!